We started the year of 2014 with many new features for the Crux Framework: we just released the stable version of Crux 5 and also the new website and showcase. Now we are spending some time to improve the documentation and channels of communication with Crux user community. The Crux 5.0 brings a number of improvements over the previous version, such as: the concept of views, support for offline applications and support the communication through REST. Using the concept of view we have a more efficient application and one of the main reasons is because we can share a single DOM to all pages. You can run Crux applications in offline mode. For instance, when you remove the internet connection you can still navigate over the Crux pages. The content is still there! Meanwhile, we also have a client database that allows user to save data content in the device. When network access is available the data will be synchronized with server. GWT has the RPC connection to make the client-server communication, but Crux also has the REST support. And this allows the application to use all the web cache structure that can improve the way how data is accessed. Let's remember that each resource has an unique URI when we use REST. 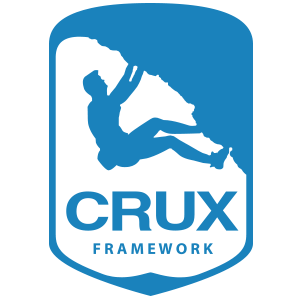 All the features and improvements in this new version can be found in the Crux Framework 5 Manual. The Crux documentation is created over practical examples. Navigating in the Crux Showcase you can see the widgets final presentation, and all of this source code can be downloaded. The Triggo Labs is a new maintainer of Crux. We are working hard to offer support to Crux community. Triggo´s goal is to offer the market one platform to develop web application with high scalability, performance and the max of the productivity to create software. Visit the new Crux´s site and get to know more about this powerful development platform for cross-device web applications: www.cruxframework.org.